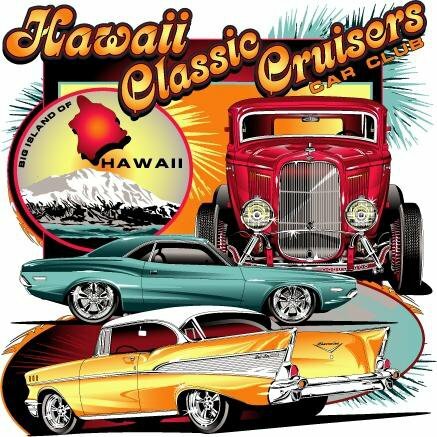 About Us/Contact Us - Hawaii Classic Cruizers, Inc.
Aloha from the Hawaii Classic Cruizers, Inc.
We live on the Big Island of Hawaii and we love everything about classic cars! Hawaii Classic Cruizers, Inc., is a 501(c)7 non-profit organization since November, 2015. Our 11 members of the board of directors and officers dedicate their time and energy planning special events for car enthusiasts throughout the year. Our group of car enthusiasts get together several times a month at local eateries throughout the island. We also participate at various community events for the public to enjoy our eye candy. We love to cruise this beautiful island and participate at charitable events such as Toys-for-Tots drive, school fairs, etc. See our 2017 Schedule of Events or the Calendar for specific dates and times. We invite you to join us in becoming a part of our classic car ohana! Mahalo! For questions or more information on Hawaii Classic Cruisers or the Cruise Paradise event (happening in 2018), please email 808classiccruisers@gmail.com.